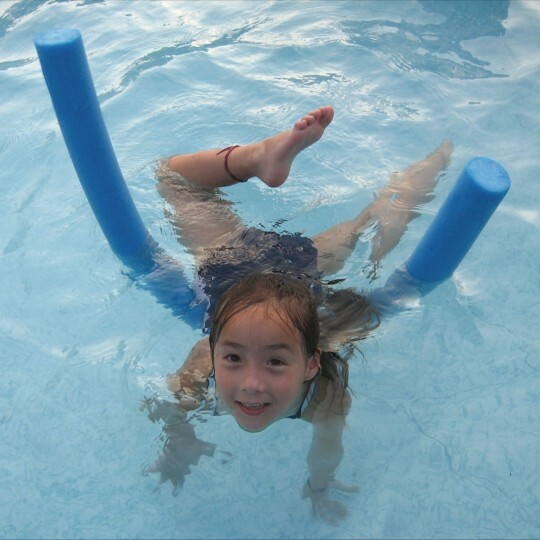 On land or in the pool - soft, safe play! An exercise and recreation favorite. Great for obstacle courses or safe sparring. Bend to create tossing targets or jump-throughs! We use noodles for a variety of games. These are worth the money as they are solid and will not bend out of shape like the cheaper models tend to do. 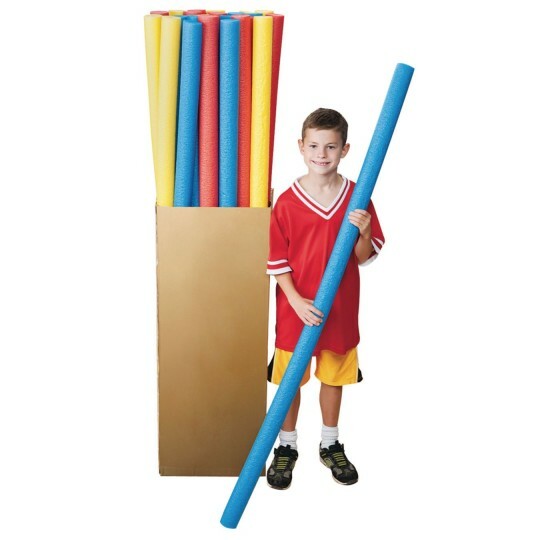 We even use them to play noodle hockey with smaller beachballs. 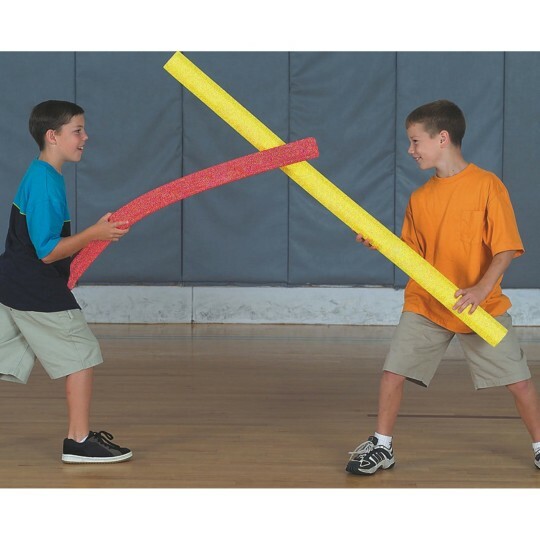 We use these for all types of games in PE class. Best game noodle hockey with a beach ball. Will be buying these again again. We use these at times when installing car seats. These are good quality and good priced noodles for this purpose. 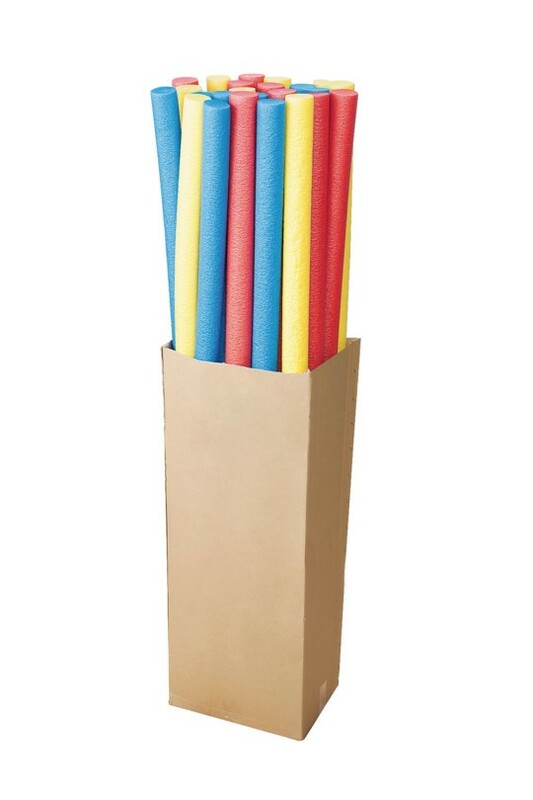 My senior Aqua Aerobics class uses these aqua noodles to assist with buoyancy during exercise classes. These are exactly what I have been looking for. They are another prop that has a million and one uses on our ropes course. These seem to be pretty durable. Time will tell as there are few things that get more use...and abuse...around here.